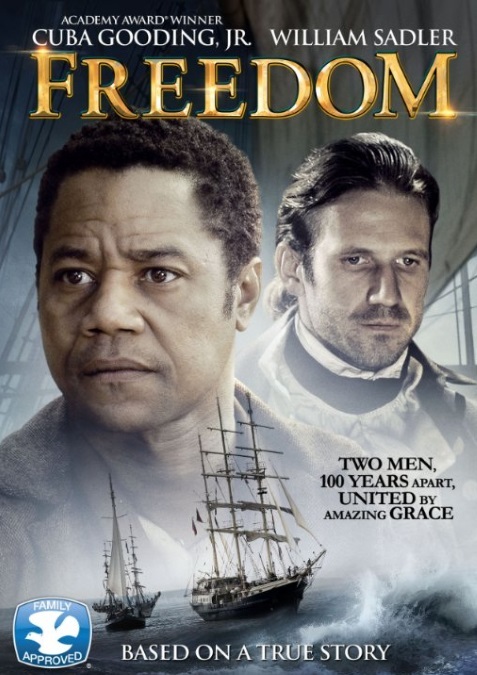 Freedom tells the tale of two men whose lives are linked by their struggle to be free from slavery, one a slave and the other a captain of a slave ship. Despite their different statuses and a difference of about 100 years, their stories are an inspirational and educational one. Cuba Gooding Jr. plays Samuel Woodward the slave who along with his family is escaping via the underground railroad helped by Quakers. Bernhard Forcher plays songwriter, relunctant Captain of a slave ship John Newton who would go on to write the hymn "Amazing Grace." The story starts off at the plantation, where Samuel and his family attempts to escape. On their journey, Samuel's mother tells a story of their relative many years ago who came across the seas on a slave ship captained by John Newton. The parallels the storytellers are trying to make are a bit of a stretch. As well, with this particular format of switching between stories, it kills any momentum either side develops creating some awkward unevenness. With Samuel's story, the lead of the story seems to be more driven by the man tasked to hunt him down in retired slave hunter Plimpton (William Sadler). 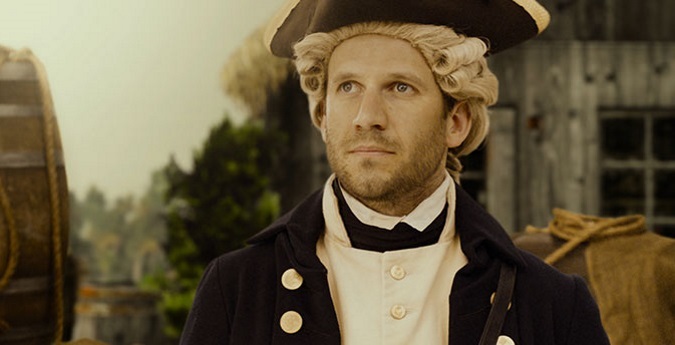 While I normally enjoy period pieces like this movie, something always felt off. The detail to explaining how the underground railroad may have operated and seeing it action is great. But the lack of violence you would imagine from the film takes away some of the credibility. Yes we do see some beatings, and not all slave films can go the route of a Django Unchained. But you can tell that the film has been cleaned up quite a bit for perhaps their targeted Christian audience. Of the actors I enjoyed Bernhard Forcher's performance the most. Freedom, with a stellar cast and a rich history and story to be based off of ultimately fails in its execution of providing an entertaining film. I would recommend watching this at least once on Netflix or cable television if it ever shows up there. It's a poor outing for Cuba Gooding Jr. though his role is limited due to shared screen time. The various musical numbers which while good is a bit uneven. The film would have been better served to focus on John Newton than to split its attention to John and Samuel.